This pen & ink is done on yellow tinted calligraphy paper. 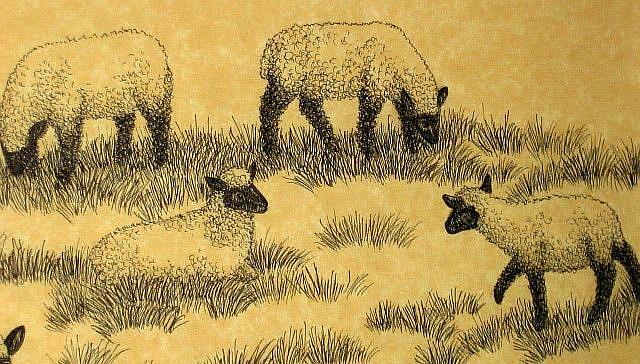 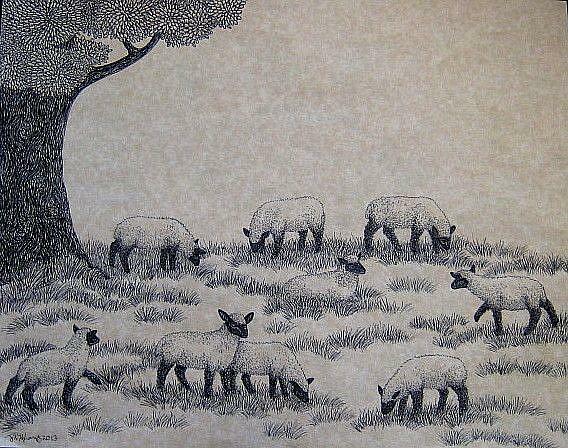 These Oxford Downs sheep could be paired with the cows drawing (A Shady Aspect) I did a few years ago as an artful exploration of country life. 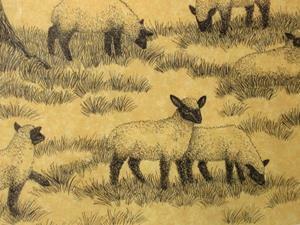 In both, I was trying to capture a calm, timeless scene of farm animals being treated well. 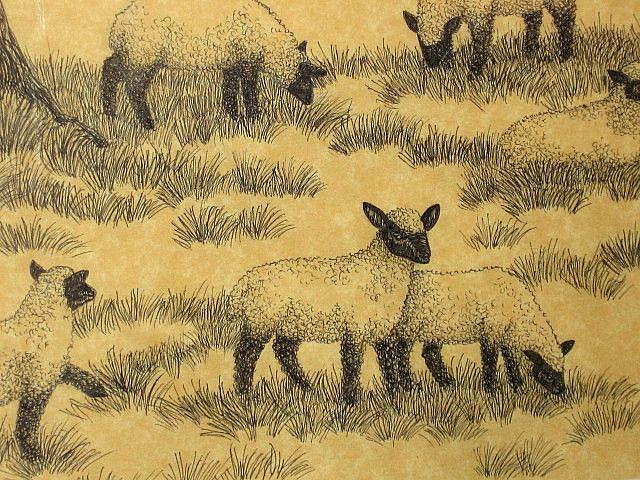 I tried to depict each sheep as an individual interacting with their flock and secretly assigned them distinct personalities with back stories.